This is one of those tracks that will get you on your feet and have your blood racing instantaneously whether you like it or not, wherever it is playing, no matter what you are doing. If you are a psychedelic fan or have ever been, it will also have your eyes rolled so far back into your head you'll think you are on that stuff (again). It's one of those ingenious recordings no one could or will really ever wrap their heads around. One of those tracks that is good in so many ways it's just so hard to put a finger on it and say, "this is what makes it great" or "that is what makes it so amazing". It's also one of those tracks that got so popular you may never have needed to know the title to find it or hear it - it was and still is that amazing. Many would say it couldn't have been better in any way and they wouldn't have changed a thing. 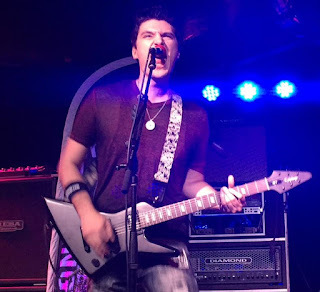 Well, Brooklyn, New York independent rock artist, Frank Palangi has found a way to make the popular song by Jimi Hendrix his own and add a breath of fresh air to it.